Delicious gems, glorious golds and heartbreaking watches. The luxurious items in this sale promise to dazzle. 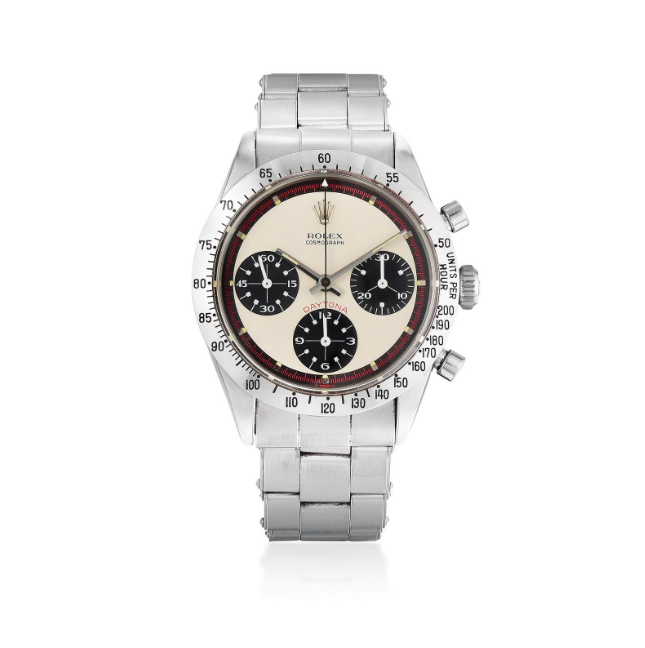 Among the watches where we find highlights are a Paul Newman Daytona, Rolex Explorer and a Patek Philippe ref. 2526. The Rolex Cosmograph Daytona was launched in 1965 as the sponsorship watch of the prestigious sports car race in Daytona Beach, Florida. However, the watch did not find huge demand at the time and it proved difficult for retailers to sell. Little did they know that the watch model, popularized by the Hollywood actor Paul Newman, would soon become one of the most famous watches in the world. The Rolex Explorer II ref. 16550 was only produced for four years between 1985 and 1989 and it is not every day a watch with the perfect defect, turning it into a sought-after gem, surfaces on the secondhand market. The ref. 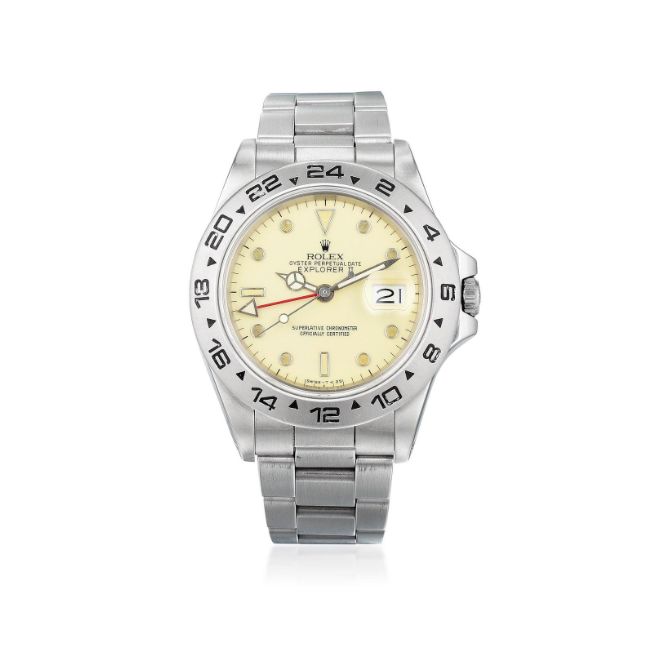 16550 was produced with a white dial, however, due to a defect, the paint turned cream-colored. Rolex soon corrected the defect but today the creamy dials are a sought-after rarity. 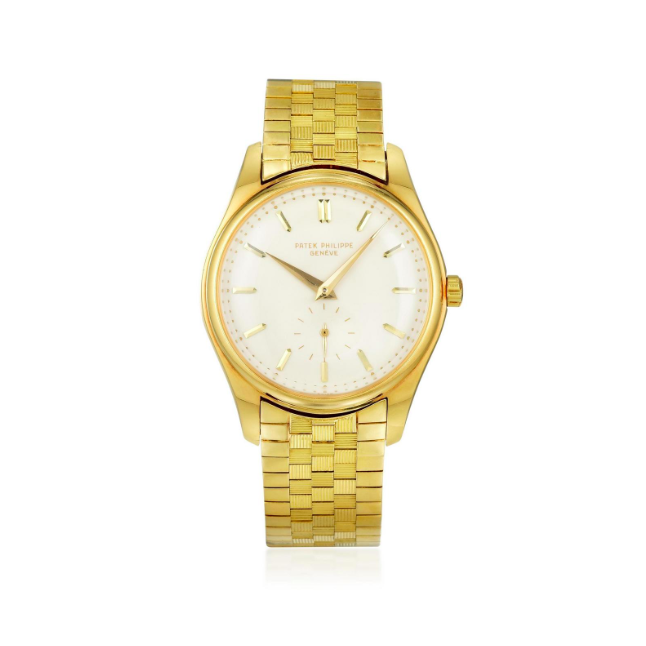 This Patek Philippe watch was the first automatic watch ever made and introduced to the market in 1952. Cased in yellow gold, it is part of the first series. With a black domed case, enamel dial and riveted numerals, this 2526 is in excellent condition and would be easy to find on any collector’s wishlist. All the colors of the rainbow – and all the glimmer in between – can be found in the luxurious items available in this specialist jewelry auction. 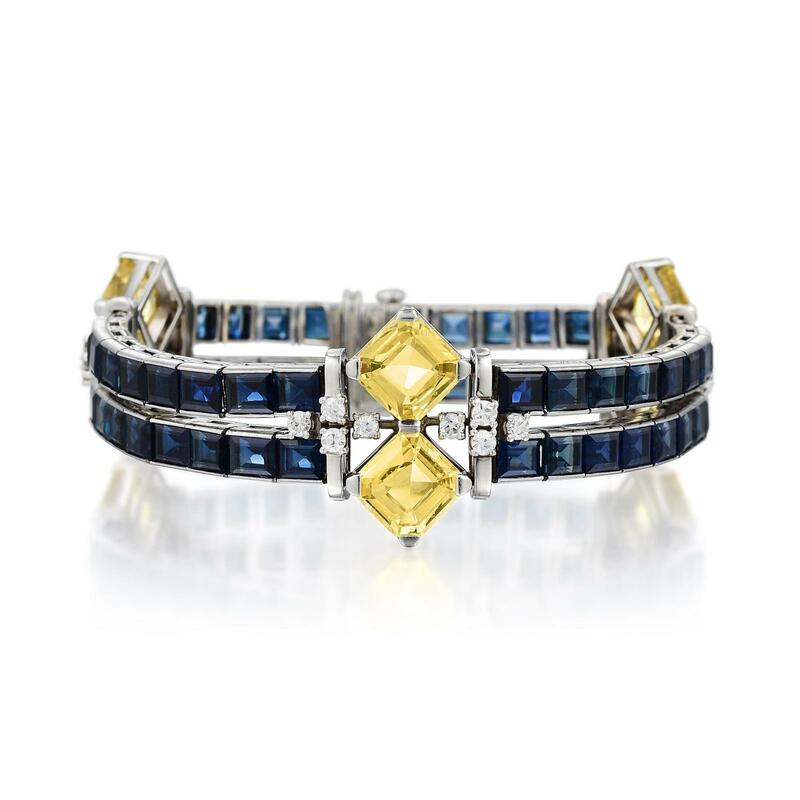 An Oscar Heyman & Bros. Art Deco Sapphire and Diamond Platinum Bracelet, crafted in platinum with square step-cut yellow sapphires, complemented by rectangular-cut blue sapphires and accented with round brilliant-cut diamonds, is definitely one of our favorites. Bidding starts at $16,000 – don’t miss your chance! 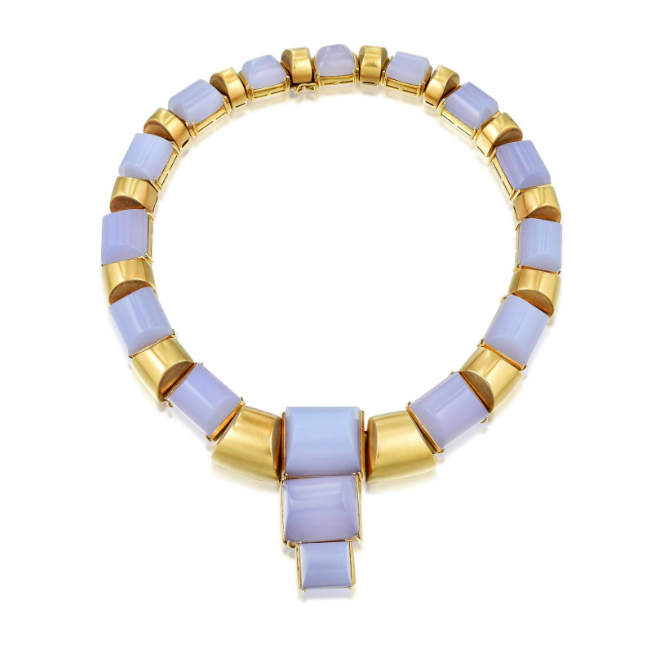 As part of Tony Duquette’s Talisman Collections, created when the jewelry designer turned 80, this agate necklace is a perfect example of the shamanistic aesthetic used by Duquette, drawing inspiration from the rich history of talismans and their status as objects of protection, healing, and magic. 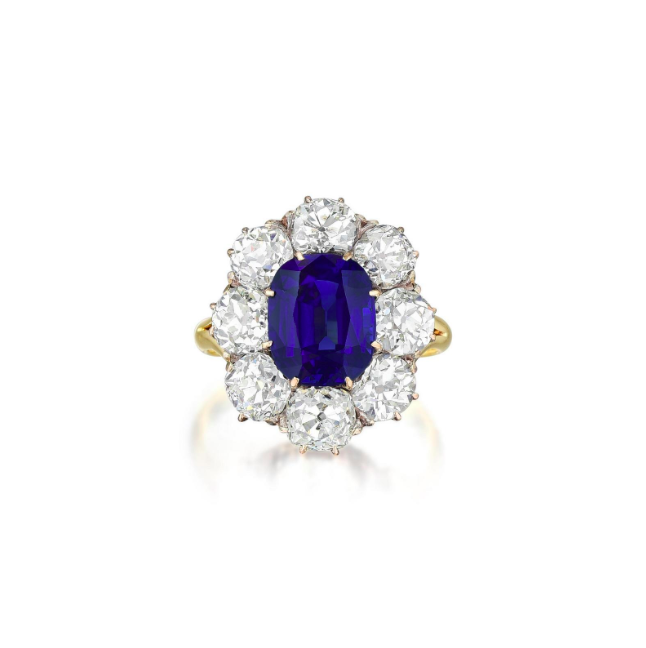 Last but definitely not least, Fortuna offers an 18K gold Victorian setting ring with a rectangular cushion-cut Kashmir sapphire surrounded by mine-cut diamonds. There’s still plenty more available from Fortuna on Barnebys.